A bit like Peugeot, who didn’t start out making cars, German manufacturer NSU originated as a knitting machine maker in the late 1800s before eventually moving on to produce bicycles. By the early 1900s they began making motorbikes and in 1905 built their first car. It wasn’t a success so they focused on motorbikes instead. This continued during World War II with production resuming after the war and in 1957 NSU launched its new car the Prinz. 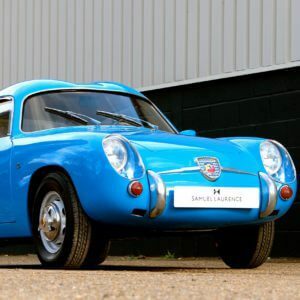 With a tiny, rear mounted 600 cc two-cylinder air-cooled engine, this small and simple to maintain two door car was perfect for a country still rebuilding after the war. In 1963 the Prinz 1000 was launched with a 996cc engine and the Prinz 1000 TT, with a 1085cc engine which produced 55BHP, was later added to the lineup. And so began the the path that would lead to the famous NSU TT, a name that lives on today with the Audi TT. 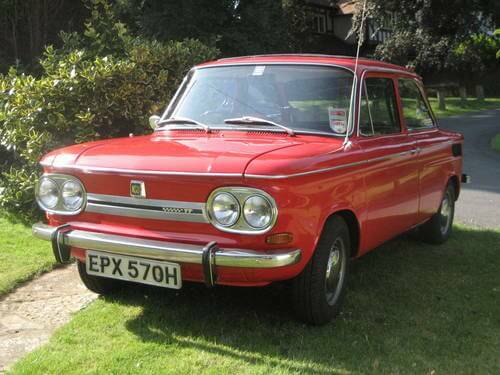 From June 1967 the car became known as the NSU TT. 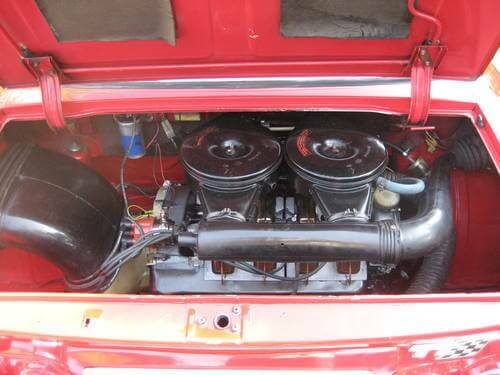 It featured a 1,200 cc engine with twin down draught carburetors and a SOHC producing 65 hp. The engine remained in the rear of the car with power being sent to the rear wheels via a 4 speed transmission. 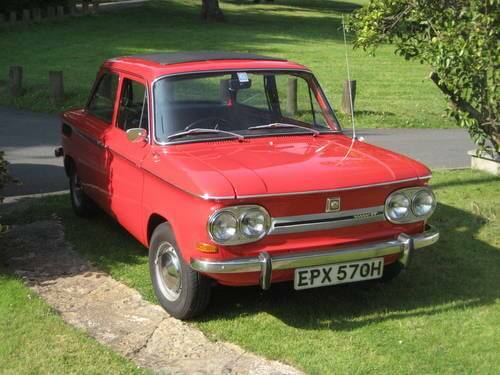 Production of the NSU TT came to an end in 1973 following the take over of NSU by Volkswagen in 1969. 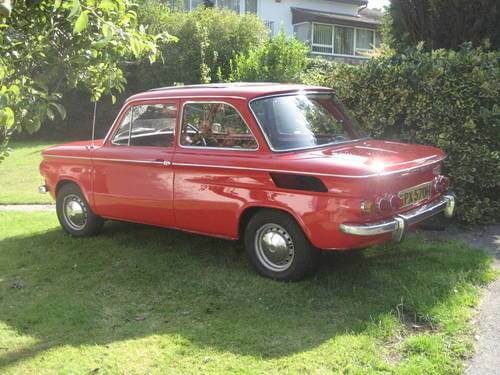 The car on offer is a 1969 NSU TT which has done 76,000 miles and has had 5 owners. It has had a full bear metal respray carried by the current owner and was found to have no rust. The seller states that the 1200cc engine has had a rebuild with new pistons, rings bearings, valves and timing chains to name just a few. The interior was also redone with new carpets, door cards and seat covers. It does look like the owner has done a really good job on this little car during his four years of ownership. It looks fresh and clean and ready to take to shows. 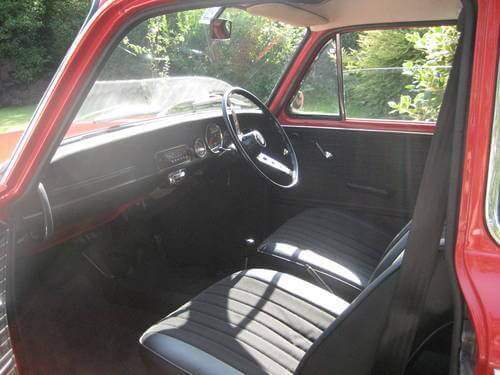 The listing also states that this car featured in the December issue of Autocar in 1969 in a test against a Mini 1275GT. We really like the looks of the NSU TT. It has a compact sporty look with its twin headlights and triple rear light cluster, which make it look like a BMW 1000s smaller cousin. The TT models have twin headlights whereas standard models had single ones. The red paint looks a little pale in the photos but we suspect its the lighting. Rear engined like the Fiat 850, the NSU TT is a compact tidy little car. 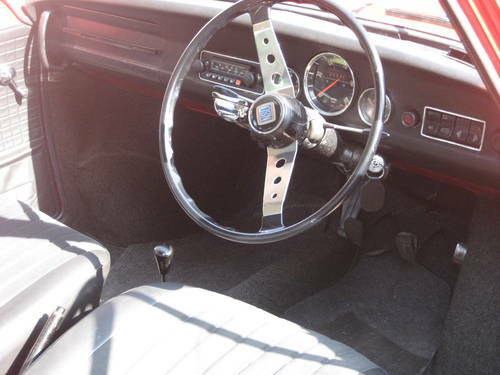 We like the steering wheel and minimal look. The new seat covers and door cards look nice and fresh. The engine bay is nice and clean. For once it doesn't look like much detailing will be need here. 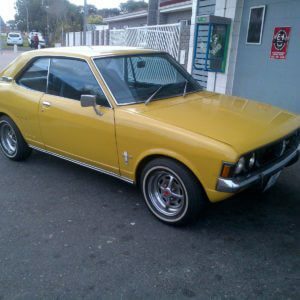 These little NSUs were brilliant cars in their day and were famed for being fun to drive, having great handling and engines that loved to rev. The NSU TT really is a great little classic to own today. They are now a rare sight car on UK roads and make an interesting alternative to a Mini. It sure would be a blast to drive on country roads and would be a certain conversation piece at any classic car meet. And you can explain to Audi TT owners where the TT name came from. This NSU TT is located in Bristol and the asking price is £10,000. More details can be found here on Carandclassic.co.uk.